GEUG12, the Google Apps for Education European User Group meeting, was held at the University of Portsmouth, UK, on June 15th 2012. GEUG12 followed on from GUUG11, an event for UK Google Apps for Education users in 2011. 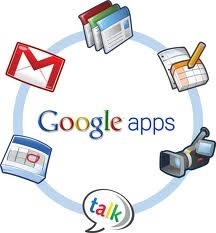 This site gathers together the presenters' slides and in many cases streamed recordings of the sessions using Google's Hangouts on Air. Topics covered at GEUG12 included developing for Google App Engine, transition to and current use of Google Apps at institutions, VLE integration and replacement, legal issues and the Google Apps Marketplace, mash ups and other creative uses for Google products, and pedagogical feedback from use of Google+ in teaching and learning.